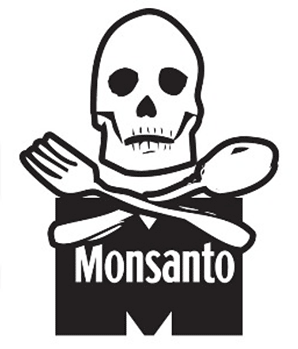 Monsanto started as a chemical company that brought the world poisons like Agent Orange and Roundup. The trust placed by consumers in scientific studies and Federal oversight committees has been violated in service to profit so that products are allowed to enter the marketplace with reduced safety standards. The synthetic chemicals we encounter on a daily basis in our food, water, and environment are increasingly shown to be disastrous to our physical and mental well-being. Volumes can be written — indeed have been written — by experts in both mainstream and alternative medicine who have documented the sleight of hand used to hoodwink consumers and threaten our health. The categories below are worth deeper investigation as prime examples of what we might face as a species if this chemical bombardment continues. Food additives — When most of us think of harmful food additives we think of Monosodium Glutamate (MSG) which is still in many processed foods, but unfortunately MSG appears to be the least of the poisons now found in our food. In 2008 Melamine was found in infant formula and some food products from China; the FDA went on record to say it was OK, despite sickening tens of thousands. Dangerous food additives appear in nearly all processed foods with even the most common food dyes Red 40, Yellow 5 and Yellow 6 being linked to cancer. Most recently 92,000 pounds of frozen chicken was recalled because it contained “blue plastic pieces,” while McDonald’s Chicken McNuggets have been found to have “silly putty” chemicals in them. In fact, some researchers estimate that today’s chicken is so full of chemicals that it only contains 51% actual meat. Fluoride — Not all fluoride is bad; only the type promoted by dentistry and added to our water and food supply. Calcium fluoride is a naturally occurring mineral, while its synthetic counterpart, sodium fluoride (silicofluoride), is an industrial-grade hazardous waste material made during the production of fertilizer. It’s past history includes patented use as rat poison and insecticide. There are many blind- and double-blind studies that show sodium fluoride has a cumulative effect on the human body leading to allergies, gastrointestinal disorders, bone weakening, cancer, and neurological problems. In this case, the EPA’s Union of scientists issued a white paper condemning fluoridation of drinking water. However, as a hazardous waste, it is extremely expensive to dispose of as such. And here might be a clue as to why this chemical, more toxic than lead and almost on par with arsenic, has been disposed of for our consumption. Aspartame — The king of artificial sweeteners was allowed to the market in 1981 when the U.S. Commissioner of Food and Drugs, Arthur Hull Hayes, overruled FDA panel suggestions, as well as consumer concerns. Aspartame is a neurotoxin that interacts with natural organisms, as well as synthetic medications, producing a wide range of proven disorders and syndromes. So who installed this commissioner that would rule against scientists and the public? Donald Rumsfeld, CEO of G.D. Searle; the maker of Aspartame. Rumsfeld was on Reagan’s transition team, and the day after Reagan took office he appointed the new FDA Commissioner in order to “call in his markers” with one of the most egregious cases of profit-over-safety ever recorded. Aspartame is now nearly ubiquitous, moving beyond sugarless products and into general foods, beverages, pharmaceuticals, and even products for children. It recently has been renamed to the more pleasant sounding AminoSweet. Personal care and cleaning products — Everyday household items and cosmetic products are applied directly to the skin, absorbed through the scalp, and inhaled. The Story of Cosmetics uses an animated video to tell a haunting tale of industrial violations and complicit “public safety” groups . . . and still only tells half of that story. The list of common products and their chemical components is encyclopedic. The sum total of the overwhelming presence of these chemicals has been linked to nearly every allergy, chronic affliction, and disease known to man. Most recently, household cleaning products have been linked to breast cancer and ADHD in children. Airborne pollutants — In a NASA article titled “Airborne Pollutants Know No Borders” they stated that, “Any substance introduced into the atmosphere has the potential to circle the Earth.” The jet stream indeed connects all of us. There is one category of airborne pollution that has been conspiracy theory despite a voluminous number of unclassified documents from 1977 Senate hearings: chemical spraying (chemtrails) by both private and commercial aircraft. Recent admissions by public officials strengthen the case. Fallout from these chemical trails has been tested and shows very high levels of barium and aluminum. Interesting to note that Monsanto announced that they recently developed an aluminum-resistant gene to be introduced. Chemtrails might seem like abject paranoia, but there is a current example of chemical spraying that is undeniable: the spraying of Corexit oil dispersant over the Gulf. This process of aerial application can be likened to crop-dusting, which we know has been going on for nearly 100 years. Wars abroad even seem to be affecting global air quality, as military munitions such as depleted uranium have entered the upper atmosphere, spreading around the planet. The observable effects of depleted uranium are not pleasant. Airborne pollutants have been linked to allergies, genetic mutations, and infertility. This is all leading to scientific, governmental, and medical management of the health and rights of the individual. It is ironic (or coincidental) that when one becomes sick due to the unnatural products listed above, the mainstream medical establishment aims to treat the afflictions with more unnatural chemicals. Furthermore, some of the people at high levels of American government and academia such as John P. Holdren, the current White House Science Czar, have advocated population control via “pollution particles” as far back as 1977 in books such as Ecoscience. Holdren’s views of humanity could make one question the intentionality of the poisons in our environment.